On the eve of the tenth anniversary of 91l, the nation is once again on alert, for the possibility of another terrorist attack. As we remember and pay tribute to those who lost their lives on the day that changed America forever, we also need to look toward the future. Proclaiming children as our most valuable future resource has become a common refrain. But the gravity of its meaning has never loomed larger than it does today as we face, perhaps, the war of all wars: Terrorism. Terrorism, with all of its faces, is likely to be a long fought battle that claims many lives. Any lasting victory against it will be directly dependent on how well we, first, protect our children and then prepare them to fight it — beginning, yesterday. Terrorism, in all of its facets, is cruel and cowardice. We have become all too familiar with the devastation of car bombs exploding on crowded streets, truck bombs careening into occupied buildings. 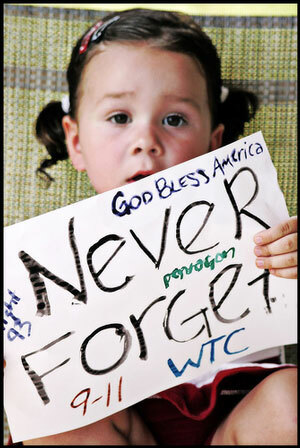 We shall never forget the hijacked planes the terrorists used as deadly missiles, as we remember this weekend and the years to come. But are we paying enough attention to one of the most vicious and insidious facets of all: bioterrorism. Its means of delivery are often cloaked in familiar disguises, if detectable at all. And even when detected, often untreatable, making it a weapon of war that is tougher to disarm, destroy or neutralize. More disturbingly, bio-terrorism puts children most at risk in the short and long term, making them more vulnerable on multiple fronts — physically, emotionally, and educationally. They could be our largest casualties of war. On the physical front, healthcare professionals are ill prepared to diagnose or treat victims of a chemical or biological attack, particularly on a large scale and one involving our children. Immediately following 911, pediatricians were voicing concern about the potential loss of life among children if there is a widespread outbreak of anthrax, smallpox, or some poisonous gas. At the time of the first anthrax attack, Cipro, the leading antibiotic used against anthrax exposure, was not recommended for children in most cases. In addition, there was widespread concern among pediatricians about the lack of information, treatment protocols, and appropriate drug therapy to protect children against chemical and biological attack. This concern was due in large part because children are not included in clinical research to determine mechanism of actions and appropriate dosage levels of various drug therapies. Developing effective therapies and training front-line physicians on how to protect the physical health of our children must become a high priority in any homeland defense strategy at the national and local level. We do not have the luxury of unlimited time. 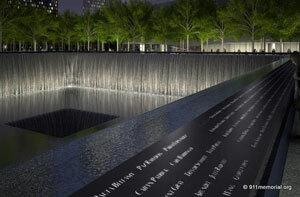 As we remember that fateful day, September 11, 2001, on the emotional front, we are all reeling. But our children are reeling the most. The devastation of any war takes its toll. But terror takes a toll of a different kind. Children, in particular, may feel an overwhelming sense of fear, insecurity, sadness, and helplessness as we confront the warning that another attack could be imminent or occur at anytime. Pediatricians, psychologists, and other childcare professionals are advising parents, teachers, mentors, and caring adults, of the importance of observing and listening to children now more than ever. Create an environment and opportunities for them to express themselves. Do not hesitate to seek professional assistance when significant changes in behavior or demeanor are detected. The symptoms may manifest themselves over time. Remaining vigilant is crucial. On the educational front, there are short and long-term issues that we must address if our kids are to win the fight against all facets of terrorism. On one level, we can do a better job of educating them about different cultures and religions, as well as why they may or may not accept the American way of life. On another level, we must ensure that we are closing the illiteracy gap that exists among the majority of kids in the areas of biological and chemical science. How can we expect them to distinguish between a biological versus a chemical attack? President Bush was at a school in Florida launching his educational reform initiative when the terrorists attacked on 911. Our nation’s schools face major challenges in improving student achievement in many subjects. Until we effectively address this major weakness in our armory, how can we expect our children to become the biophysicists, chemists, geneticists, physicians, social scientists, historians, and educated citizenry that it will take to wage and win this new war of the 21st century? We can win a lasting victory over terrorism, not just on foreign soil, but also by protecting and preparing our children on multiple fronts, here at home. I knew that we were worried about bio-terrorism, but I guess I did not realize what great affect it could have on children and those of the next generation. It was interesting to read that the drug prescribed most in the anthrax situation was one in which children could not take. That means that if this drug was the only one found to treat the anthrax than if the children were sick because of this, there was nothing we could do to help them. I think more research needs to go into finding ways to not only keep our adults safe, but also the children of this country, as they are our future. We cannot let terrorists have that much control over our future, as I am sure they knew we were not as prepared as we should be and there will always be more in the works that is being planned by terrorists to occur at any time, so we need to be ready!